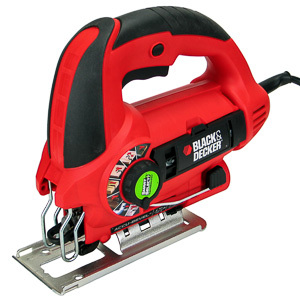 This week I picked up the Black&Decker JS660Jigsaw in the tool department of a local super store. I figure athorough review of this arguably basic jigsaw may help more peoplethan the reviews I do of premium models. Let's take a look at whatthe JS660 can do in the Hingmy workshop, and if it is worth whatlittle you have to pay for it. 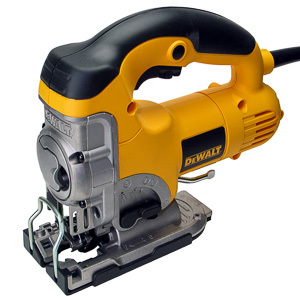 The DeWalt DW331K jigsaw sits right in themiddle of the price range. That makes it a tempting purchase foranyone who wants a better saw than one of the universally poorentry level jigsaws, but does not want to pay for thetop-of-the-line models. Let's take a look at what the DW331K jigsawcan do in the Hingmy woodshop. The difference in performance between thecheapest and the most expensive jigsaw in the market is very large.Like everyone else I am pining after the shiny high priced models.Every time a new one comes out I am hoping it will be the one thatbreaks the trend and offers affordable quality. 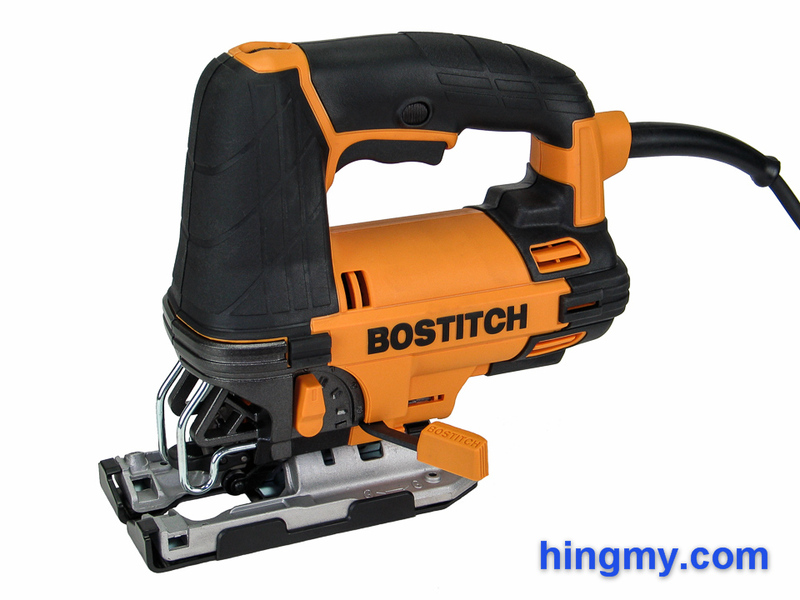 The BTE340K is abrand new model from Bostitch and the latest jigsaw to have made itinto my woodshop. Let's take a look what the BTE340K adds to thejigsaw market. One of the capabilities missing in mywoodworking shop was that of a high quality jigsaw. The fine linesand controlled cuts a jigsaw can produce are immensely useful.Unfortunately jigsaws are also notorious for producing roughsurfaces and plenty of tear out. Only the best jigsaws are goodenough for fine woodworking. Jigsaws are best used for cutting curves in various types of materials. The tip of the blade must be free of the cut in order for the saw to function. Blade deflection is an issue with jigsaws. The tip of the blade on a saw equipped with this feature moves in an oval pattern. This increases the cutting speed of the saw. The blade is being pushed into the material in addition to moving up and down. Cut quality suffers as the saw takes larger, more aggressive bites. Most saws have the option to turn the orbital motion off for fine cuts. One of the most important features of a jigsaw is the blade guide system. This mechnism limits blade deflection and determines how true the saw cuts. There is no single implementation of this mechnism. Manufacturers are in a race to develop ever better guide systems for their saws. It is very important to read reviews before purchasing a jig saw. D-handle jigsaw form the bulk of the market. They are a favorite of arts and crafts people and the construction crowd. The high D-handle makes for a safe and easy to use tool. Woodworkers like the control a barrel grip offers. The users hand is closer to the blade allowing formore precise movement. On the flip side, a barrel grip jigsaw is more tiring to use than D-handle model. If you are looking for a jigsaw for construction use, you must choose a model with orbital motion. These models will cut signifcantly faster than saws without the feature. Blade deflection is a serious issue with jig saws. The saw must not only move the blade through the cut with enough power, it must also do so while keeping the blade in the same plane. Blade deflection can be severe on entry level saws. Making perfectly perpendicular cuts will be difficult. Reading reviews are the only way to judge cut quality. "Can't imagine needing more features. Easy blade change, comfortable grip, easy manouverability. 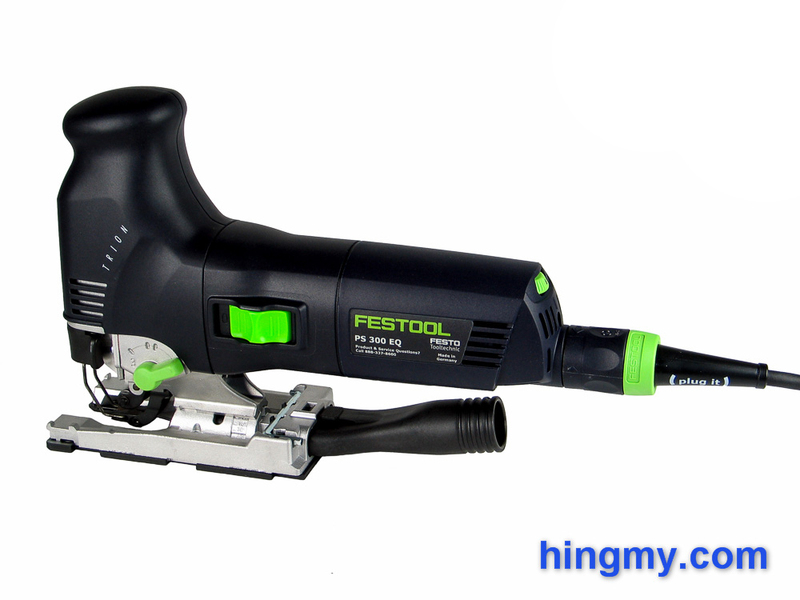 Add Bosch quality and reputation, this jig saw gets an A+"
"One of the best jigsaws on the market for fine-woodworking. The splinter guard and 3-point blade guide create a superior cut. Only one tool comes close."